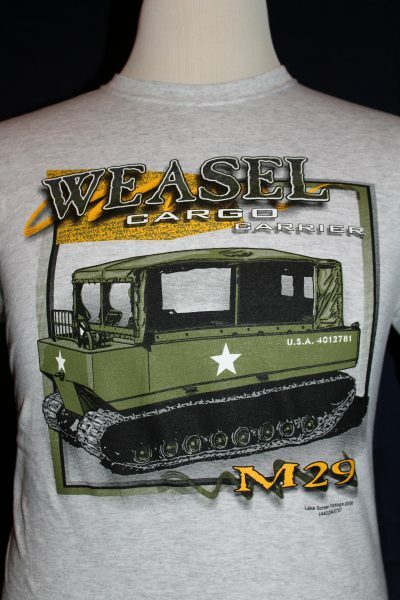 The M29 Weasel Cargo Carrier T-Shirt is a single sided print in grey. 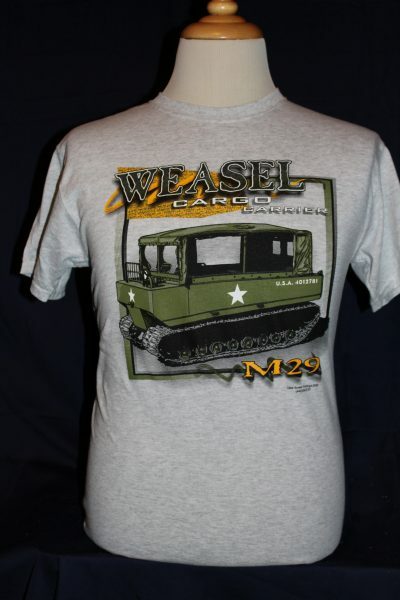 Front Design Only: M29 screened in military green with text. Manufactured by Studebaker as a reconnaissance and cargo carrier.